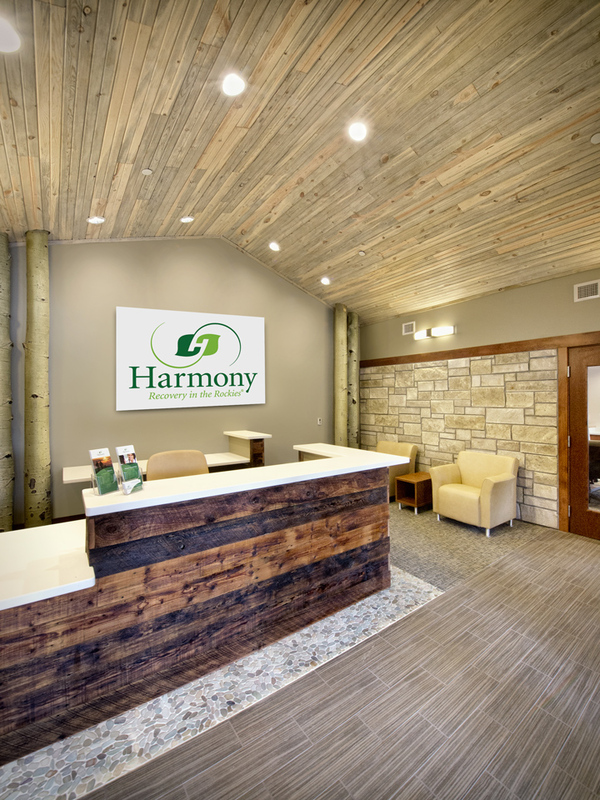 The Harmony Foundation is a residential substance abuse treatment facility on 43 acres. BAS1S has worked with Harmony for over ten years on numerous projects, including creating a master plan in 2008. 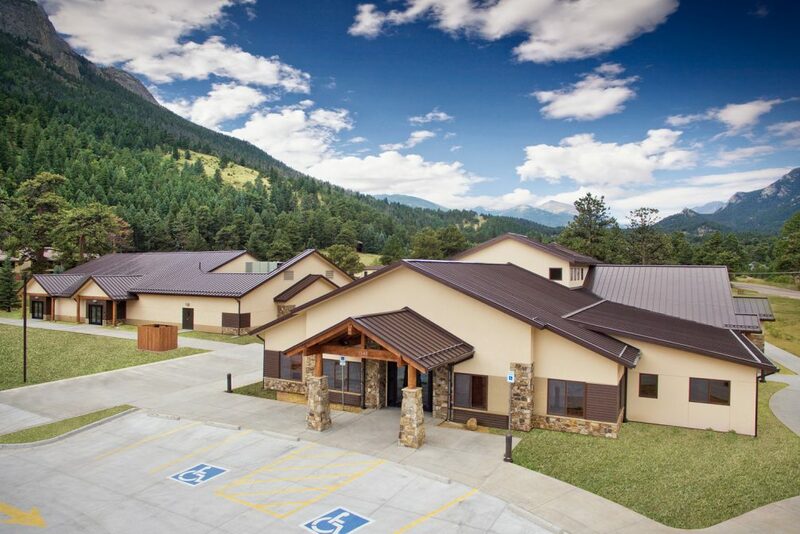 The first phase of plan development included a 10,470 sq.ft., 20 bed center for client admissions and detoxification; plus an 8,240 sq. 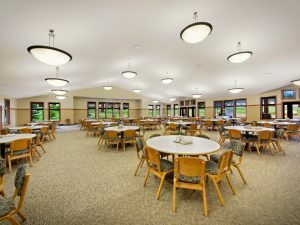 ft., 216 seat dining hall and commercial kitchen. Later phases will include expanded housing and additional administrative and client support areas. BAS1S spearheaded the entitlement process, building and interior design, construction documentation, contractor selection, and construction administration, remaining heavily involved throughout all project phases; reducing the burden on the owner of a continually operating campus. The existing campus had a relatively homogenous design scheme, most of which were relatively small. 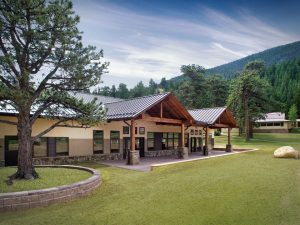 A significant challenge was to insert to large buildings in the middle of campus, maintaining design consistency and scale, while remaining appropriate to the mountain setting. One of the most cherished comments we received after project completion was these buildings look like they have always been there. While not seeking LEED certification, the project was designed with LEED principals in mind. 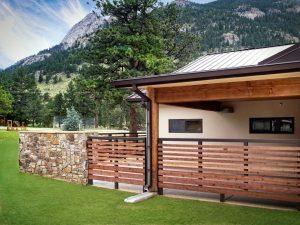 Innovative exterior insulation created a well-insulated, air-tight enclosure resulting in efficiency in heating and ventilation. Interior materials were chosen for near-zero off-gassing, especially important in a detox environment where sensitivities may be heightened. As a further commitment to reduce the impact of new construction on landfills, materials were separated on-site and recycled wherever possible. Understanding the impact of first impressions, the main lobby space sets the tone for the rest of the campus. The room is warm and inviting, yet a slightly vaulted ceiling, create spaciousness. The material palette includes whitewashed beetle kill on the ceiling, stone and wood wall accents, bright clean quartz counters over oiled reclaimed barn timbers, with the addition of bark-on aspen logs referencing the Foundations aspen symbol. The space speaks to an opportunity to recover control of ones life in a healing, supportive, comfortable environment. We feel fortunate to have had the opportunity to work on such a vital project, with some really fantastic people. Their architectural skills and eye for design have contributed to a finished project that is far beyond our expectations.